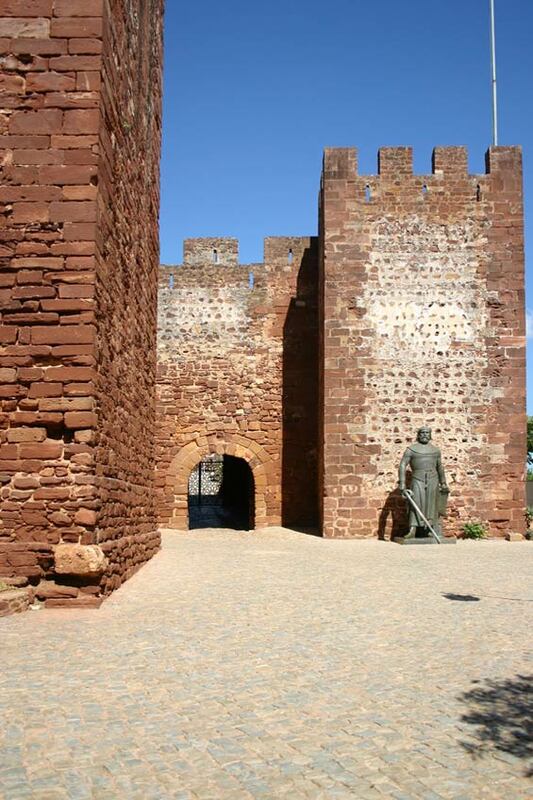 Silves is an attractive town with a rich history built on the banks of the River Arade. The river was navigable in historical times and represented an important link between the hinterland and the coast. The town, which is built on top of one of the largest underground aquifers in the south of Portugal, the Querenca-Silves aquifer, straddles the river and retains a medina-style gate, the Porta de Loule, and parts of the poured concrete walls that date back to the time of Moorish occupation. The area has been inhabited since Paleolithic times but the town reached its peak after the Moorish invasion of the Iberian Peninsula in 713. By the tenth century, Silves, then called Xelb, was the capital of Al-Gharb, the area now known as the Algarve. In 1189 King Sancho I recaptured the town for the Portuguese with the help of a hired army of Northern European crusaders. Silves was recaptured by the Moors two years later until finally falling to the Christians in 1249. 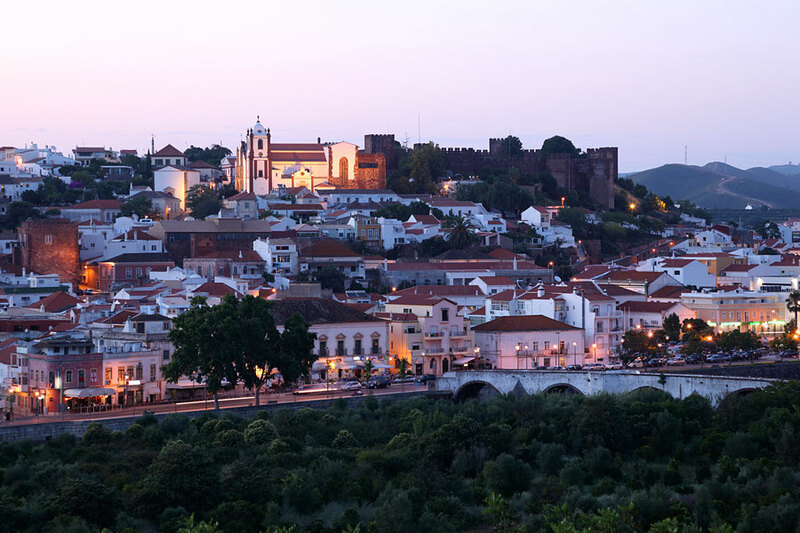 Today Silves is an attractive, crumbling place of outdoor cafes and scented orange groves dominated by one of the best-preserved castles in the Algarve. The Moorish Fortaleza, which boasts a complete set of sandstone walls and detached towers, occupies twelve thousand square meters on top of the hill that overlooks the town. Iron Age remains have been found, along with a well, a governor's palace and the Cisterna Grande, a thirteenth century water cistern that once served the whole town. The Cisterna stands ten meters high, is supported by six columns and said to be haunted by the ghost of a Moorish maiden. A Moorish-style garden has recently been re-created and is open daily to visitors, along with the rest of the Fortaleza, whose walls offer impressive views over the town and surrounding countryside. Below the Fortaleza is Silves cathedral or Sé, built on the site of a grand mosque and flanked by wide Gothic towers. The cathedral retains some of its original grandeur in spite of damage caused by the great earthquake of 1755 as well as centuries of decay and patchy restoration. Lining the cathedral walls are tombs belonging to bishops and crusaders who died taking Silves back from the Moors. 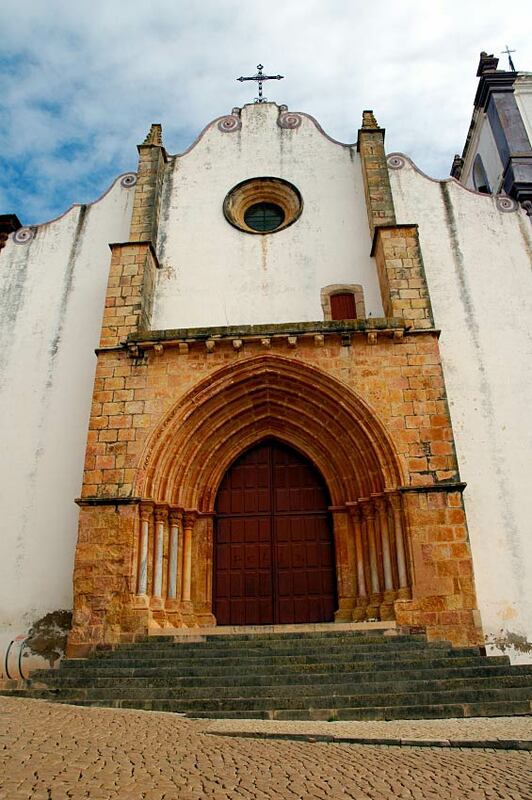 Opposite the cathedral is the Igreja da Misericordia, much of which dates back to the eighteenth century. A defunct cork factory known as the Fabrica do Ingles (Englishman's factory) is home to a couple of museums and a cluster of bars, cafes and fountains that come alive in August during the town's annual beer festival. There is a market on the riverfront, near a narrow thirteenth century bridge, every morning from Monday to Saturday.